I want to thank you for your help with my squirrel issue. Good experience starting with Karen on the phone, and then Brett and Rudy - all were very helpful and kind which is always appreciated. Like I told Rudy, no offense, but hopefully I won't see you again . . . at least not for a "pest" issue. We are pleased with the service. Kingdom Resources Property. C. Nathan. Thank-You! Jerry does a great job taking of of our house inside and out! A very professional company that has been with me for five years. Quality work & excellent communication. I would recommend their services to other parties. GOOD SERVICE, WHAT MOLES I HAD ARE GONE. GOOD FOLLOW UP SERVICE. Brett and Jerry were wonderful to work with. Explained everything they were going to do. Now we wait and see what we "get"! as a home owner definitely recommended. The team did a great job ! Tommy kept me posted with the daily developments and they completed the job to my satisfaction. We were very pleased with Tommie's service with the Wild Life Program and we really appreciate the work of Brad as well. Jerry is always wonderful when he comes to service our home. So professional, courteous and answers all my questions with helpful, informative knowledge. The best pest control company that we’ve ever used! Very thorough. Our guy Jeff P.
goes above and beyond. He keeps us updated either by phone or with good notes on the service report. This week he noticed a water leak outside our home and called me right away. That phone call was priceless! He even removed a very large snake from our property one time. I highly recommend ROTTLER. Matt is great, We will miss him. Our technician is awesome. He is very thorough and does a great job explaining the details of his visit. Plesent,funny,timely, quick service and made Sure I was not having any issues with any pests since their last visit! Glad to support a local company! You are great. We are very pleased with your services and staff. Shawn does a great job. He is thorough, neat and very professional. 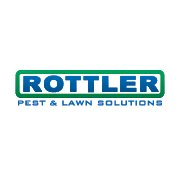 I’ve used Rottler for all my lawn and pest needs going on six years. Very responsive. Overall great service. Yes, we are very pleased with your service. The gentleman who serviced our mole problem was very professional, friendly, and eager to resolve the problem. In a short period of time the problem was fixed. We will not hesitate to use your services in the future and will readily recommend your company to others. Thank you! Awesome, professional service from all techs! New start up this month and everything has been great. We have had this service for 58 yrs when the 1st Rottler did it so i guess were ok with it. So far so good rottler caught 2 moles in 2 weeks. Technician Brian was very thorough, explained the course of the treatment we were getting, when he would be back to check on the progress of the treatment plan. Polite and very understanding. Got rid of our ant infestation from the first treatment. They don't try to sell you treatments that you don't need, and are extremely professional. I recommend them to everyone! Requested a free estimate. Explained in detail over the phone what I needed before arrival. Serviceman calls me enroute and request info. about job. He immediately procedes to tell me the problem has been long standing before even viewing the property and tells me that rodents are throughout my walls before ever seeing anything. Even when I indicated one area with activity. Comes in and views a small area and explains to me how he has to set up virtual baits but not do any sealing to prevent reoccurrence. He asks me why would I seal to trap them in my house and not leave open for them to exit at will. I told him my goal is to seal any openings. He immediately says he cannot help. He in and out of my house in less than five minutes. It is important to listen to the customer and not try to handle the customer. I just need quality workmanship that is informative and not just a salesman🤨. Your Company is absolutely fantastic! Your Representative Mr.Denny Shea was prompt, very knowledgeable, and efficient. I had used another service for several years, and the problem was getting worse, instead of better. SO I called Rottler to see if they could help. Sean (our technician) is extremely thorough, and last month, when we had no evidence of any problem any more, we started cutting back on the treatments. And he puts up with my barking dogs, who by now, after a year, know him and like him. I was ready to move out of my house; now I love it again. Have used Rottler for many many years. We are very happy with the service and with the folks who come to the house to check and spray. They are always helpful in explaining any problem areas they see. I am a single mom and I have a mouse phobia I actually have panic attacks thinking of being invaded but Allen my tech has made my house bearable Rottler was flexible with matching us and finding a tech that could help comfortable my concerns and eliminate my pest problem. Leaves an adequate review of the activity level in the boxes on the property. On time when they say they are coming on the scheduled day. Good results, the “show up when where in the area” scheduling should be looked at, not customer focused approach.